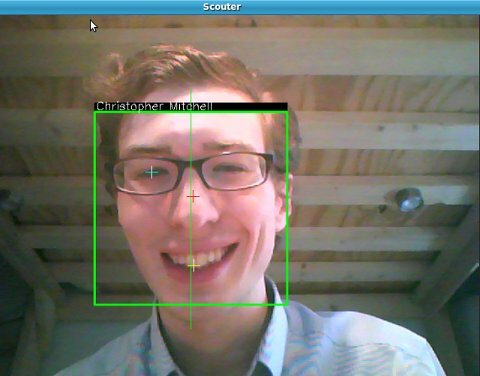 Facial detection and recognition are among the most heavily researched fields of computer vision and image processing. However, the computation necessary for most facial processing tasks has historically made it unfit for real-time applications. 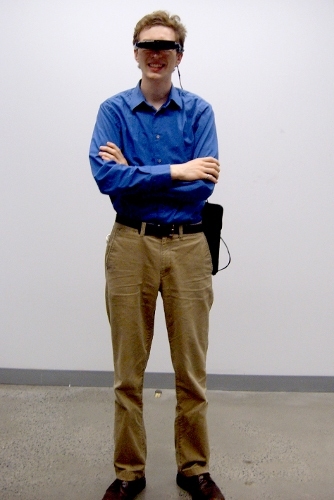 The constant pace of technological progress has made current computers powerful enough to perform near-real-time image processing and light enough to be carried as wearable computing systems. Facial detection within an augmented reality framework has myriad applications, including potential uses for law enforcement, medical personnel, and patients with post-traumatic or degenerative memory loss or visual impairments. Although the hardware is now available, few portable or wearable computing systems exist that can localize and identify individuals for real-time or near-real-time augmented reality. The author presents a system design and implementation that performs robust facial detection and recognition robust to variations in lighting, pose, and scale. 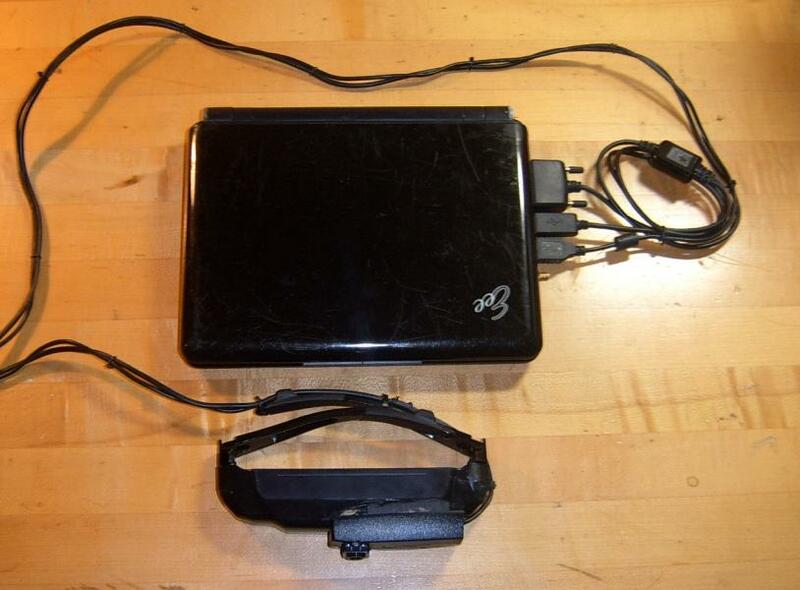 Scouter combines a commodity netbook computer, a high-resolution webcam, and display glasses into a light and powerful wearable computing system platform for real-time augmented reality and near-real-time facial processing. A convolutional neural network performs precise facial localization, a Haar cascade object detector is used for facial feature registration, and a Fisherface implementation recognizes size-normalized faces. A novel multiscale voting and overlap removal algorithm is presented to boost face localization accuracy; a failure-resilient normalization method is detailed that can perform rotation and scale normalization on faces with occluded or undetectable facial features. The development, implementation, and positive performance results of this system are discussed at length. Please see the project page for my thesis, http://www.cemetech.net/projects/ee/scouter/, for full details on the project, including images and videos. Woot. Go Kerm. When do/did you present this? What does the scouter say about Kerm's awesome level? Awesome! I just got done watching both videos and reading up a little bit, haha. Great material, Kerm! I defended my thesis (a 54-minute presentation followed by 15 or 20 minutes of questioning) on May 3rd, and I gave the presentation in the video last Sunday, May 17th. Cooper Union has an End of the Year Show where they showcase mostly Art and Architecture pieces, with a few Engineering projects as well, so Scouter is there (http://cooper.edu/news-events/events/eoys-engineering/). I sorta skimmed over your paper (I'm probably nowhere near as capable enough to understand everything ), and I was really impressed. Awesome job, Kerm! Great stuff, Kerm! Congrats on finishing it, I'm sure it's a load off your mind. Thanks Mapar007, Silver Shadow, and CyberPrime. Mapar007, I'm sure you could understand it to at least the degree that I do with a bit of effort. Silver, hopefully it's not too creepy (other than the creepiness of the project as a whole). CyberPrime, it is indeed a very big load off my mind, and having this fun little diploma indicating I'm now a Master of Electrical Engineering helps too. Wow, that's pretty awesome, and worth the work I bet. All hail to to the mighty KermM! One of my friends who is a web developer would be very interested on your work! Actually, he is fascinated on doing system designs and working on programs. I think, your paper will hook the interests of people who love working on computers every time, so do I! I like your thesis because it gives information which is true. Like the facial detection and recognition which are among the most heavily researched fields of computer vision and image processing. And your thesis catches my interest because you have able to presents a system design and implementation that performs robust facial detection and recognition robust to variations in lighting, pose, and scale. This is true, thanks for saying so. However, that sounds suspiciously like automated summarization to me. Are you a bot or a human? Which, the bots, or my thesis Scouter? There's definitely a market for both, although the market for the latter is far from mature yet. Well, for that I'd have to find a more capable computing platform, as well as improve the face recognition accuracy more. One that I hope that I'll be able to do that, but for the most immediate future, the hardware isn't around, nor is time for me to write said software. © Copyright 2000-2019 Cemetech & Christopher Mitchell :: Page Execution Time: 0.357673 seconds.